'Nduja is a type of insaccato salume. Its distinctive mixture of finely ground fresh pork, pork fat, red chili pepper, salt, and sometimes spices, is unique. Stuffed into natural casings, the fresh sausage is lightly smoked for a few days, then hung to slowly ferment and dry for several weeks to months depending on its size. The result is a soft, spreadable cured sausage, with a consistency of pate. If it is not spreadable or spalmabile, it is not ‘Nduja. Rather than slice it like hard sausage or salame, scoop and spread it. With its particularly intense Calabrese hot red pepper taste mingled with a hint of smoke, serve ‘Nduja as the finished product it is, or use it as an ingredient. Known by several names, ‘Nduja remains one unmistakable product. In Calabria, La ’Nduja di Spilinga is often referred to by its full name, pronounced Lan-DOO-jah. 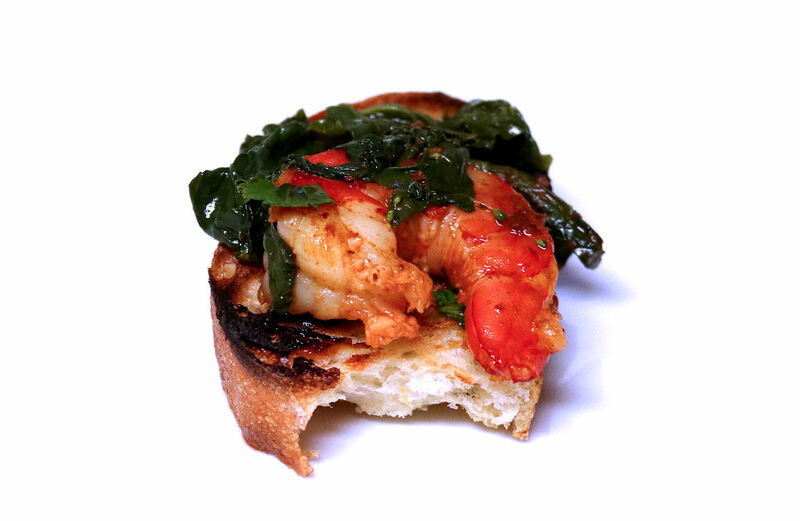 The slang name is shortened to ‘Nduja, pronounced nn-DOO-yah. It is also called ‘ndugghia or ‘nnuglia. La ’Nduja originated in the small town of Spilinga and surrounding zone of Monte Poro and Capo Vaticano. The designated area is located in southwestern Calabria, Italy, south of the city of Tropea, near the promontory of Capo Vaticano on the Tyrrhenian Sea. The ‘Nduja Festival is held every year in Spilinga’s town center, on August 8. Excellent artisan producers are now making it in the USA and other countries. It is available in grocery stores, salumerias, and through mail-order online. For generations, Italian crop farmers raised poultry and pigs for family consumption, typical of farmers around the world. After the pig’s slaughter, every bit of pork is used. While fresh cuts are enjoyed immediately, the lingering question is how to preserve the rest of the meat in such a warm climate? In Calabria, hot peppers grow prolifically, ripening to a deep red color as intense as their heat threshold. Drive through the countryside and you’ll see bright crimson carpets blanketing the region. Combining fresh pork and red peppers with their natural antioxidant and antiseptic properties, makes some spectacular stuffed sausage and salumi. The philosophy is simple. Use local ingredients and preserve them well so they last for several months. Production: Calabrese salumi artisans have been making ‘Nduja for decades. Little changes in the production method except for some fine-honing. Pigs are fed a natural diet devoid of milk whey. 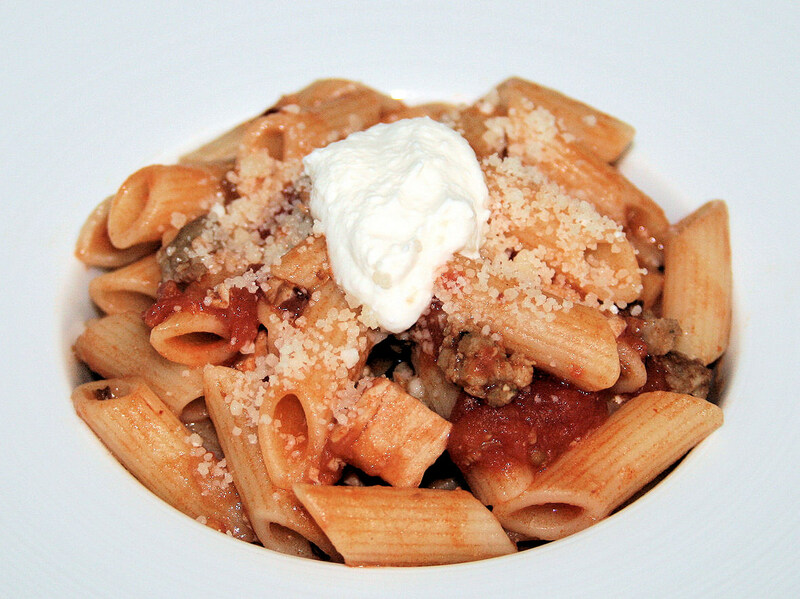 The meat used for ‘Nduja production comes from pigs not younger than 14 months old. Traditionally, secondary cuts or inferior parts of the pig were used including tongue, lung, tripe, fat, skin, and trimmings from the head and thigh. Now, strips of beautiful belly, or pancetta, with its gorgeous white fat, make up part of the base mixture. Trimmings from the cheek, or guanciale, and the shoulder, or spalla, can be included too. Every producer has a secret blend of ‘Nduja mixture, carefully guarded. It depends on the percentage of preferred pork cuts and pork fat (part magra and part grassa), flavored with a specific percentage of Calabrese hot red chili peppers (usually 25% to 30% of the weight of the meat), and salt. With the high percentage of hot peppers and salt, which naturally preserve, no other preservatives are necessary. After resting, it is time to pipe the mixture into casings. The natural pig casing size determines the length of aging for each piece of ‘Nduja. 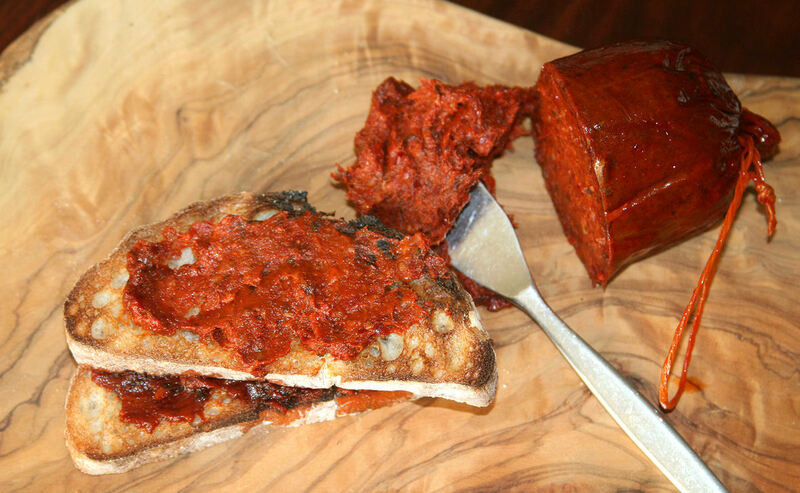 Traditionally 'Nduja in Budello Orba, is stuffed into an orba or crespone (caecum). This clean casing is actually the intraperitoneal pouch between the end of the small intestine or ileum, and the beginning of the large intestine. It is known as the hog’s middle cap, or end cap of the Hog Middle. End caps are uneven in shape and work well for stuffing sausage large in size such as Cotechino, La Zia Ferrarese, Soppressata Calabrese, and ‘Nduja. Originally the size of ‘Nduja made in this casing was about 40-cm or 16-inches long, and required many months of aging to maturity. With younger pigs used for production, some orba are about half that length, or 20-cm or 8-inches long, reducing the aging time to a minimum of 2 to 3 months. Small pig intestines, intestino di maiale, are ideal for smaller sizes requiring brief aging of 1 to 2 months or slightly longer. Once filled, each casing is punctured to pierce the skin , then hand-tied with string, or vice-versa. The sausages hang overnight in temperature-controlled refrigerated units. The following day, they are hung in the smoke house. The best wood for smoking is non-resinous, such as wild oak or quercia, olive or olivo, fig or fico. Each producer prefers a specific smoking method and number of days the fresh sausages hang in the smokehouse. Fewer days give a mild smokiness while a week or more intensifies the smoky flavor. The Brilliance of the ‘Nduja Makers: Decades ago, they learned the best way to preserve ‘Nduja was to smoke it. Why? The region of Calabria is not that cold, and there are flies and insects that love the fresh sausage hanging in an open room. If they land on the sausages, they make holes in the surface, thereby ruining the product. So a light smoking flavors ‘Nduja, preserves it, and keeps the insects away. La Sala di Stagionatura: After smoking, the sausages hang in the aging room in cool ambient temperature. During summer, when the temperature rises above 25 C/77 F, air-conditioning is used. A natural white mold, muffa bianca di salami, should form on the surface, a sure sign the salami is maturing well and will taste great. Beneath this mold, the surface should turn red. Depending on casing size, this sausage can be matured up to one year or more, because ‘nduja must become soft and spreadable salame. Recently, some Calabrian producers listened to the demand that Italian home cooks prefer smaller quantities of ‘Nduja. So it is now available in convenient small one-dose packets or bustino di monodose, and in tubes or tubetti. The ‘Nduja for this packaging is identical to the large orba quality. For cooks who want this as a sauce, it is mixed with olive oil, then pasteurized to stop the fermentation, and packed in glass jars or cans. Note on Calabrese Peppers: When the peppers mature and turn red, they are picked and transported to the salumeria. Fresh whole peppers are laid out on sheets to slowly dry under the sun. To dry, they need high temperature to turn intense red color, and develop aroma and taste. When the peppers are almost dried but contain about 15-20% of water, they are cleaned by removing the stems and most of the seeds. Then they are transported to a room where the peppers are washed, disinfected in boiling water, and put in pressure washer or hydropolitrice di pressione. Then they are drained, ground, and conserved for the year. The pepper harvest or la raccolta di peperoncino, begins in the middle of August and extends to Christmas. Serving Ideas: What staples do you keep in your kitchen? Ketchup, mustard, soy sauce, mayo? Perhaps a bottle of sriracha? 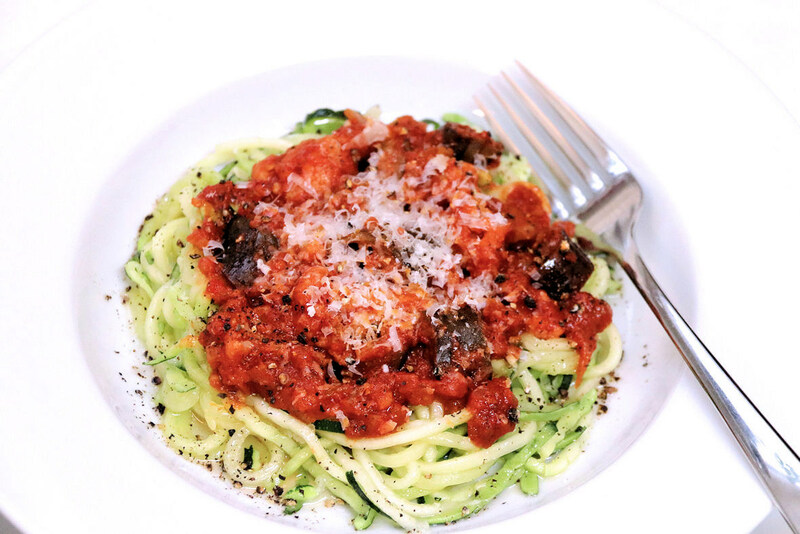 Add 'Nduja to your list. I keep some in my fridge. Always. Not only does it make a great crostini snack slathered on grilled bread, it is a super ingredient. Do you make your own pizza or have it delivered? Next time, place some dollops of this spicy salame on top. You'll love it. It's great on focaccia and other flatbreads, too. Stir it into soups, all kinds of sauces, and curries. Stir-fry poultry, meat, seafood, seitan, and tempeh with it, even vegetables benefit from its kick. 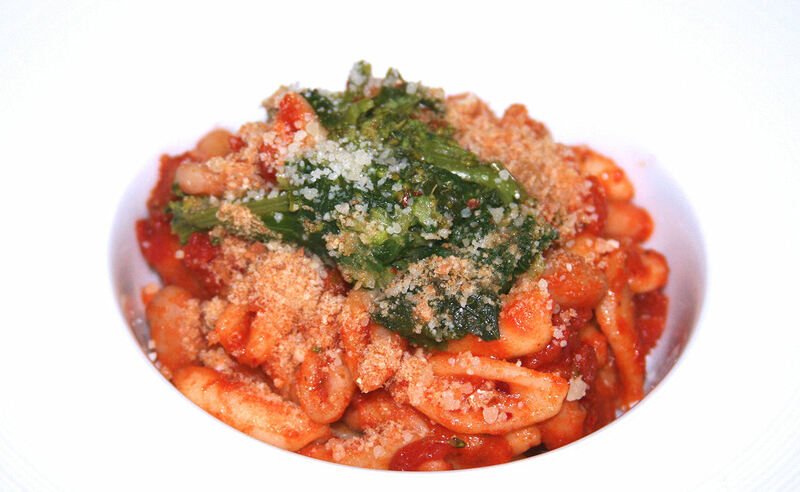 Photo: Features 'Nduja from 'Nduja Artisans Salumeria.